* Isolate app, for privacy protection. * Clone app, for parallel running. 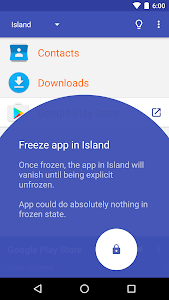 * Freeze app, to completely block its background behaviors. * Hide app, for various reasons. * Archive app, for potential future use on-demand. * Use VPN only on one side, or different VPN on both sides. To uninstall and remove Island completely, please first "Destroy Island" in Settings - Setup - Click the recycle-bin icon besides Island. 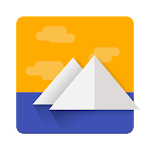 If you have already uninstalled Island app, please "Remove work profile" in your device "Settings - Accounts". 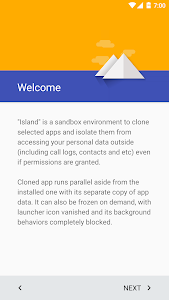 DEVICE-ADMIN: Device administrator privilege is required to create the Island space (work profile), which serves as the fundamental functionality of Island. It will be explicitly requested for your consent. PACKAGE_USAGE_STATS: Required to correctly recognize the running state of apps. It will be explicitly requested for your consent. NEW: Biometric security confirmation for ADB Secure. 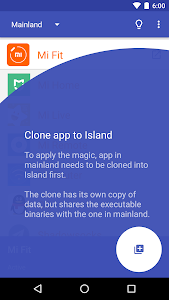 Clone apps instantly on Android 8+ if root privilege is granted. Also show non-installed system apps with "Reinstall" action if "Show hidden system apps" is checked.